Hello Quick Quotes friends. Marcia here blogging today. Since it's Memorial Day today in the United States I wanted to create a patriotic card. I am using one of the quotes from the Holiday Quote Bundle. The Just Jackson papers go so well with it. Thank you to all our brave service men and women. A sincere Thank You to all of our Veterans who have served this great country! We Remember and Honor You today and always. 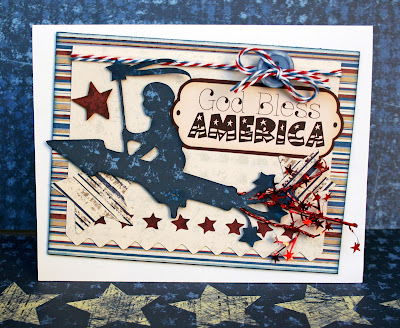 What a fabulous card for Memorial Day!